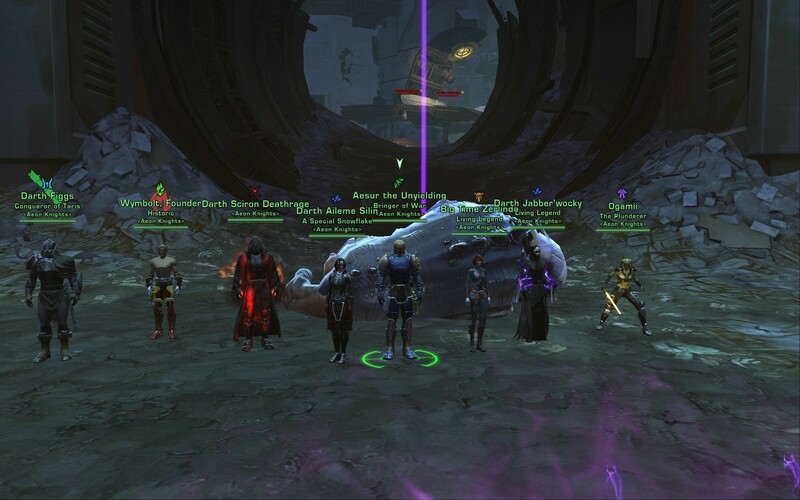 Aeon Knights SWTOR have kicked off their first night of attempts on the new Hard Mode Operation Ravagers and were quite succesful right out of the gate. After some more warming up and gearing in Story Mode, we briefly dipped our toe in progression for just over an hour. Unfortunately after biting Jabber'wocky's face off, Sparky had to be put down. (Hence the mask). But don't feel bad it couldn't really get any uglier anyway could it Jabber? Thanks to the whole Operations team, not just those who were present! OK, next foto, mask off ..
Ah, nothing interesting here, AK made first HM, from 3.0, nothing interesting here, nothing to see, just go.